Two groups of researchers at UC San Diego have found an explanation for a longstanding mystery of how two very different toxins from anthrax bacteria work together to disrupt essential cell functions during infection with this potential bioterrorism threat. 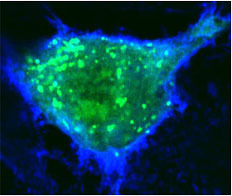 One group, looking at the effect of anthrax toxins in fruit flies, and the other, examining anthrax in mice and human cells, demonstrate that the two anthrax toxins act in a cooperative fashion to prevent the final step by which cells transport molecules to their surfaces in order to communicate and adhere to one another. 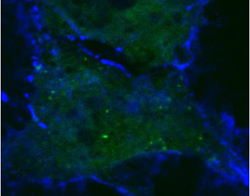 By interfering with these specialized sites of cell to cell interaction, the UCSD researchers conclude in a paper in the October 14 issue of the journal Nature, that anthrax toxins prevent cells from delivering critical components to sites of cell to cell contact, which is likely to contribute to the failure of blood vessels that kills their victims during the final stages of infection. Information about how the two anthrax toxins work in concert with one another at the cellular level is becoming increasingly important as researchers devise ways to better protect large populations from the threat of anthrax attacks by bioterrorists. 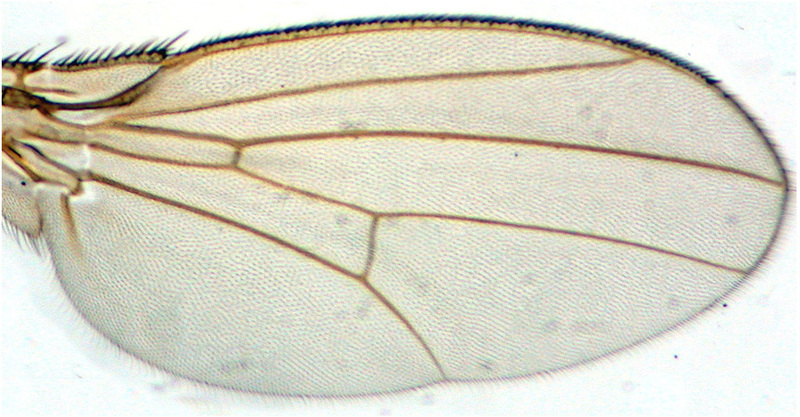 The two anthrax toxins work cooperatively to produce abnormal fly wings with notches at right. Normal wing at left: wing with one toxin in middle. Credit: Annabel Guichard and Beatriz Cruz-Moreno. Bier and his team of scientists in UCSD’s Division of Biological Sciences, specifically Annabel Guichard and Beatriz Cruz-Moreno, gained the first hint in solving that mystery when they found that the two anthrax toxins worked cooperatively in flies to produce abnormal wings with notches along their edges. Following up on that discovery, the second group of researchers, headed by Victor Nizet, a professor of pediatrics in UCSD’s School of Pharmacy, found that treating human cells with anthrax toxins led to similar defects in transporting molecules to sites of cell to cell contact. Nizet’s team of scientists, specifically Shauna McGillivray and Nina Van Sorge, also found in their studies that injection of live anthrax bacteria beneath the skin or into the lungs of mice caused nearby blood vessels to leak, while mutant strains of bacteria lacking the toxins had no such effect. “Our studies with human cells and mice suggest that the ability of anthrax toxins to inhibit delivery of adhesive molecules to sites responsible for cell to cell contact leads to leaky blood vessels and may contribute to the final stages of anthrax infection in which blood vessels fail and the patient develops shock, often followed by rapid death,” said Nizet. “In future studies, it will be interesting to investigate whether inhibition of the cellular mail circuit by anthrax toxins may also prove to be important in other aspects of anthrax pathogenesis, such as avoiding uptake and killing by immune cells,” he added. “One can anticipate that other bacterial and viral pathogens may interfere with the same critical processes during the development of infection." Funding for the study was provided by grants from the National Institutes of Health.